Mathew Lodge has more than 20 years of diverse experience in cloud computing and product leadership. 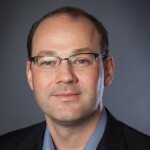 He is COO of Weaveworks, and most recently was VP of VMware’s Cloud Services group. He has built compilers and distributed systems for projects like the International Space Station, helped connect six countries to the Internet for the first time, and managed a $630 million router product line at Cisco. Prior to VMware, Mathew was Senior Director at Symantec in its $1 billion+ information management group.